Deputy Education Minister Teo Nie Ching has requested Malaysians not to share the photos of the man's children or the details of the school his kids' study. She said that schools are for all children and that her Ministry would not allow for any child to be discriminated against or bullied there. People have shared his personal details including his phone number, his place of work, and also spreading pictures of his wife and daughter, The Star Online reported. After facing people's anger, the man has now deactivated his Facebook account and has deleted photos from his Instagram account, including changing the name. Meanwhile, earlier today, Kepong MP Lim Lip Eng had lodged a police report against the man. Following which, Ampang Jaya district police chief said that they have started looking for the man. "We are still trying to locate the individual involved. Investigations are being carried out under Section 509 of the Penal Code," Ampang Jaya district police chief Assistant Commissioner (ACP) Hamzah Alias was quoted as saying by Malay Mail. If charged and found guilty, the man could be jailed for five years under Section 509, which handles offences where words/gestures were used to insult a person's modesty. However, the DAP lawmaker said that his police report today is not for the person to be penalised but to ask the authorities to "come up with a solution to eradicate racial tension and to promote harmony in our multiracial, multicultural society." "The intention of my police report today is to ask the authorities, the Malaysian government, the various enforcement agencies, including the police, to come up with a solution to eradicate racial tension and to promote harmony in our multiracial, multicultural society. "I don’t want anyone to be penalised and I also don’t want any category of people (whether it be) race, gender or whatever - to be insulted. "We are a democratic country and we should respect each other. 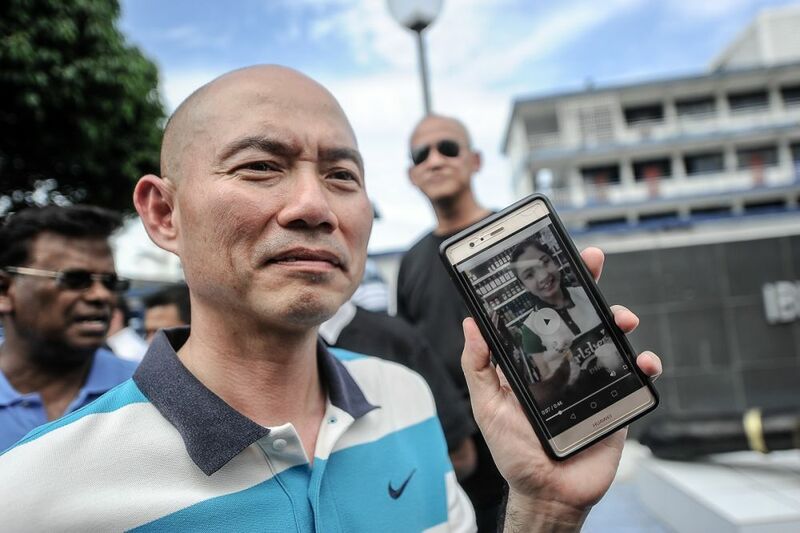 We should continue to come together as a multiracial Malaysian society," MP Lim was quoted as saying by Malaysiakini outside the Ampang Jaya district police headquarters. MP Lim showing the viral video of the beer promoter. His decision has not gone down well with several including members from the ruling collision and civil liberty groups.